The following story happens to be one of my favorite's. It's become a favorite, because of the struggle that it's really been. Every time I look in the mirror or see a picture of myself, I often wonder when I will recognize the woman staring back at me. Did the change really have to be so dramatic?Have a blessed day everyone.Has Anyone Seen My Identity ? These past few days have been quite nice . Even though , some of my blogs might have seemed to be a little " depressing ", it still has been nice to have some quiet time to think . To reflect and regroup . You can find out alot about yourself . Years ago , I would clean out my closets and drawers whenever I felt overwhelmed with life . It felt like I was cleaning up and organizing my life . Well , it doesn't work this time . One of the reasons why I feel so disappointed in my cancer RETURNING is because I'm afraid of losing my identity . Think positive. You have to think positive. Be positive. Lord, how I detest hearing that phrase. People automatically assume since I have cancer that I'm emotionally fragile. Just my saying the word cancer to someone ends usually with a lecture on how I need to stay positive. The fact that I can speak casually about cancer should tell others that I have dealt with that monster. It seems to be a taboo word for everyone except me. Friends, I am fine regarding my illness. If I bring up my cancer with anyone, it's more to prepare myself for what is coming. I am trying to incorporate my disease into my lifestyle. I want to live as normally as possible. For that to happen, I will bring cancer into the conversation. Besides, why are people so afraid of even saying that word? There is no power in the word alone. The power lies when we allow the word to take control over us. I decide how cancer will fit into my life. I have come way too far to allow cancer to run me.
" advice ". As a parent with stage three cancer, the concerns I may have regarding their lives takes on an urgency. My time here is limited and all parents want to leave this world knowing all is well with their babies. So when do we stop being parents and become more like friends? I should have asked that question long time ago. I am positive that in my children's mind, the apron strings have been cut. Why does it take the parents so much longer? Opening the card, I was surprised to see a familiar name staring up at me. It has been a few months since I last spoke to Linda, let alone write about her. Linda has not been doing well at all. Whereas I may have had the cancer return three times now, Linda's cancer never left from it's return the second time. She has had chemo nonstop now since 2011. If you have followed my blog since 2011, Linda's name is very well-known to you. You may also be aware of how much she means to me. For the rest of you, allow me to introduce my fellow cancer friend Linda. Linda and I met at church at the grand opening ceremony. The year was 2007 and both of us were newly diagnosed cancer patients out looking for a neighborhood church. After the service they held a pizza luncheon greet and meet. I sat down next to Linda and her husband asking her the now famous question, " Are you wearing a hat for the same reason as me?" It's funny what we look forward to as we age. The simplier life becomes an important goal we strive to achieve. No more drama, no more anxiety, no more excess of any kind. I can distinctly remember a time in my youth where my nails were polished, I wore every stitch of makeup out there and my hair was the current style. These things mattered to me. So did the size of a home with top of the line furnishings. The american dream of being married, a housewife with many children afoot, and a very attentive husband who only had eyes for me. Things have a way of not turning out the way we may want them to be for a reason. Nowadays, I'm happy just where I am. Today, I spent the majority of my day in the Word of God. It's amazing how peacefully serene I felt all day. I listened to audios online to some of my favorite evangelists and I couldn't be happier, drinking coffee and crocheting. Things have certainly changed, but I think for the better. I often take a glance back on my life, analyzing roads I have travelled on. I am always questioning the end result. Maybe if I had done this or done that? Turning fifty has affected my emotional state of being. In my youth, I have envisioned my life a little differently. Shouldn't I be in a much better place than I am now? I guess that depends on what that place looks like. Like everyone else, I have dreams of that place. I've dreamt about it for years. I dreamt how it should look like and when it should have happened. I dreamt who would be there and the type of life I would lead. Sometimes, our dreams can take over our reality. Suddenly life doesn't seem so grand anymore when we compare it to something that doesn't even exist. That's so happening to me right now. I thought I would be living that dream already. Instead, it seems I'm finding fault with what I have now. I'm really a very blessed individual, so why am I knocking it? It's funny how we don't realize what exactly we are going through or why until the storm is over. Then we can objectively analyze what has happened and why it needed to happen. I didn't realize at the time that I was dealing with the idea that I might die. The entry below reminds me of that time and the struggles that I faced. Have a blessed day everyone. Dark Shadows All Around Me My mood is a dark one . I feel that something has been chasing me ....a dark SHADOW ...something I can't quite pinpoint . It keeps following me around , taunting me , playing elusive games with me . Just when I think I can turn around fast enough to see what is behind me......I find IT is faster than me . Eversince , this past chemo , I've been feeling this dread . Never , have I ever felt so bad after a TREATMENT like now . I feel sick and exhausted......WEAK . I feel weak . I put on a big front , but honestly , I hate this . I'm tired of this road . I've beenso engrossed in my work that I haven't noticed the snowstorm outside. Earlier, I noticed it had become a little forecast, but winter has a cloudy overcast so I thought nothing of it. I glanced outside, amazed at the size of the snowflakes, the scene before me a winter wonderland. Everyone bundled up, covered from head to toe, barely their faces showing. Oh, how I wish I could hibernate the season away like the bears snuggled deep inside their caves. Every morning, I awaken early to the sounds of children and adults getting ready for school and work. My body and mind don't want to leave the confines of my comfortable and warm bed. Instead, I snuggle deeper under the covers. Chris Sernel Go where you are celebrated - not tolerated. If they can't see the real value of you, it's time for a new start. I actually read the above verse on Facebook on one of my friends page. I don't even know this person who made this quote, but I love it. In fact, we all love it, but do we have the guts to do something about it? I believe we all have something in our lives that we wish we could change for the better. We pray about it, dream about it and wish upon a star on it. It is a goal that may seem very far off for majority of us. Someday, someday we will live it. I know quite a few friends who have packed everything up and gone on to live out there dreams. I'm in awe of these people. How brave! How bold! How I wish I was more like them. It certainly has been a very emotionally charged and tiring last few days. My weekend flew by in a flash. The family planned an early surprise 50th birthday party which coincided right in the middle of my Crocheting Ministry Meeting. We went from one event to the next. I had such a wonderful time at both. It was nice to play catch up conversation wise with many of my family members. Everyone is growing into the next stage of their life quite nicely. Upon leaving for my party, Emily developed a toothache. Her wisdom tooth has been acting up here and there and we've been postponing the inevitable. The remainder of the weekend was spent in trying to ease her pain as much as I could. I've tried everything from cloves to onion and nothing worked. The lowest point came at about 4:20 a.m. where I was awakened by Emily sobbing in her own room. Iam amazed and I should not be, how easily people and situations just love to steal our joy. The minute I made the declaration of trying to improve my attitude toward work, things go wrong almost on purpose trying to steer me off course. Not only am I having problems at work with my computer, but it seems here at home as well. This bad weather is affecting my connection. Hence, there have been missing posts here. I have realized that whenever we seek a new path or try to work towards a new goal, the devil will try to throw things at you to sway us away from our purpose. He does not want us to succeed. I'm trying to remind myself of that fact, since I have been up tossing and turning all night going over the previous days events. Otherwise, our fast is going very well. We're thinking of all the goodies we can't have, but we're staying true to our goal. We have had minor setbacks attempting to make us fail, but we've handled it. One of my favorite shows happens to be Alaska: The Last Frontier. I love that show, because their way of homesteading reminds me of my childhood in Poland. There are times that I may daydream of living like that one day, but I know it is only a daydream. There is no way that I could handle eight months of below zero temperatures, let alone all the hard work of homesteading. I have realized that even though I may miss the old ways of doing things, I don't want to work hard labor anymore. I'm not sure if that's the next level of generation gap that I have entered or if simply I'm too lazy. I'm becoming very self-centered in focusing only on my pleasures, hence my crocheting and writing. Don't bother me about anything else, especially in the wintertime. When I began this blog, I never realized how much I would love writing. 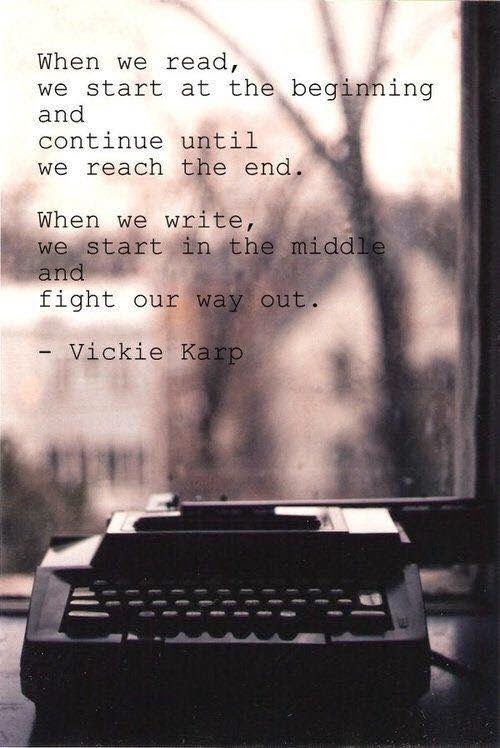 The more I write, the more I want to challenge myself. I've been working on a special project (that will be revealed at a later date) which has taken me away from this blog. I have tried to do both, only to find my focus has been more on the project rather than an even split. Something new I'm excited about, I guess. Still, I'm trying. My goal for this year is to relax more and writing happens to be one of my vices. What is the other? Crocheting, of course! So instead of running around trying to get as much done as possible, my plan is to do the opposite. The less stress I have, the easier my work life will be. At least, that's my plan. Whether it works or not, we shall see. Working on my attitude regarding work is very important to me. I really don't want another repeat of last year and neither do you. I think you've heard enough of my whining to last you awhile. Going back to work after the Holidays is no fun at all. If anything, it's probably the hardest thing to do, but this is a new year with a new attitude. Unfortunately, my day didn't exactly start well. The minute I stepped outside my apartment into the parking lot, I noticed one of my tires were pretty low. Remembering I have a can of flat tire fix in the car, I proceeded to attempt in pumping some air, only to discover the can was frozen. Driving very slowly to the gas station around the corner, I pulled into the air/vacuum station. Ended up wasting a whole dollar on the vacuum instead of the air. Yes, really! After filling up with air, I got into my car, already a little pressed for time. The car wouldn't start! In fact, I had no power of any kind. I began calling everyone I knew that was home. No one answered. Yes, really! As the Holidays come to an end and tomorrow will mark the first day back to reality, I felt that it was time for me to do the same. I have been absent in the month of December more than I care to admit to. The New Year marks a new beginning and a whole new set of goals, especially for Emily and myself. Today our fast begins for this month. We all could use a little encouragement so what better way than to start with more God moments. Have a blessed day everyone.More God Moments These God Moments seemed to touch a chord in people . I open my e-mail and its full of INSPIRATIONAL STORIES and songs . Even at the Wedding on Sunday , I was given inspirational stories that were found in a magazine . Obviously , people want to HOPE . So once again .....more God Moments.